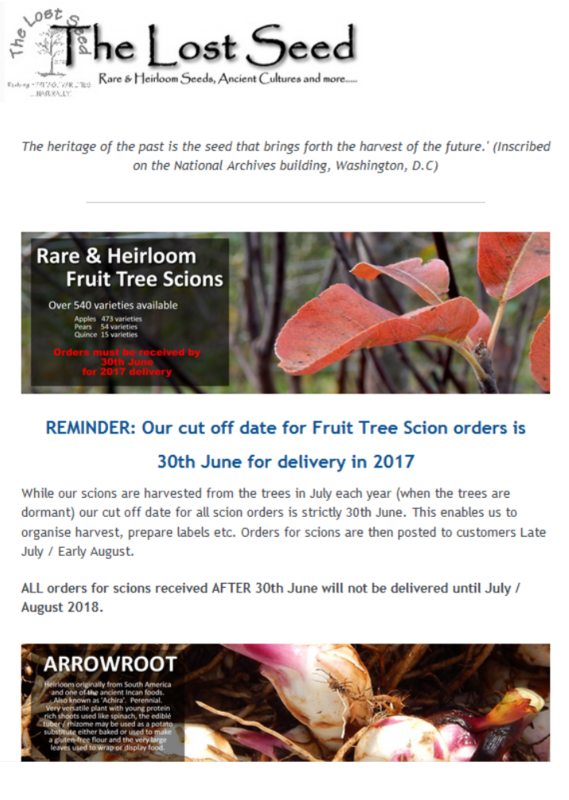 We publish and send out an informative & practical e-newsletter each month containing practical step-by-step seed saving guides, photos of our heritate seed garden, recipes, new product alerts and monthly specials. Click on the newsletter to the right to see a sample of what you receive. PLEASE NOTE: We value our customers privacy & use email addresses only for this purpose. We do not share or publish any customers details and any information we receive is held in confidentiality.